Activity – page with activities of all membership users. Here you can monitor the registration of new users, creating new groups, posting new content from all groups and profiles. Also here you will be informed about new friends of all users of your Membership website. Groups – list of all groups on your Membership site. 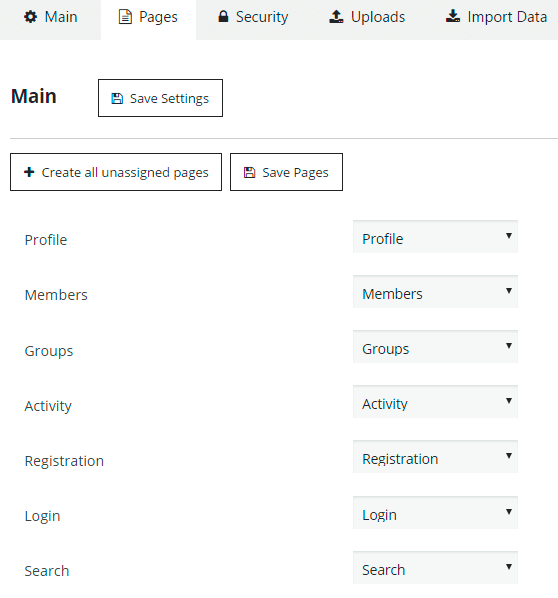 On this page plugin allows you to check all communities of your membership website, besides there are separate tabs for your followed and managed groups. 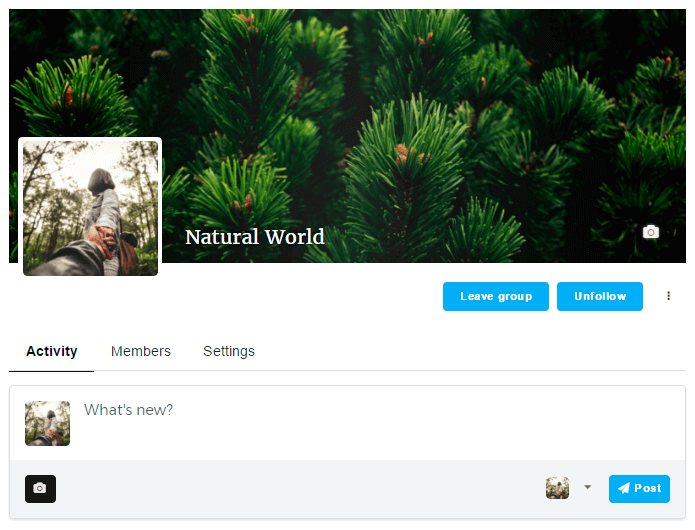 Also on Groups page you can create your own new community. Login – login page for membership users. Members – list of all membership profiles. 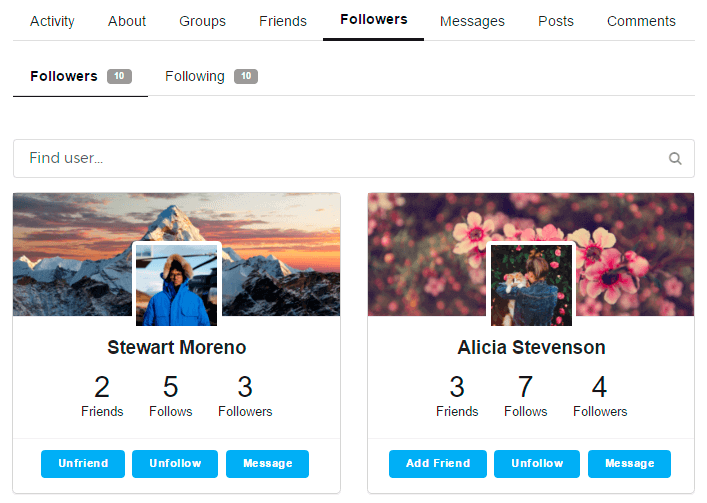 Profile – personal profile page of each user. Registration – page for registration new users. Search – page for searching content. 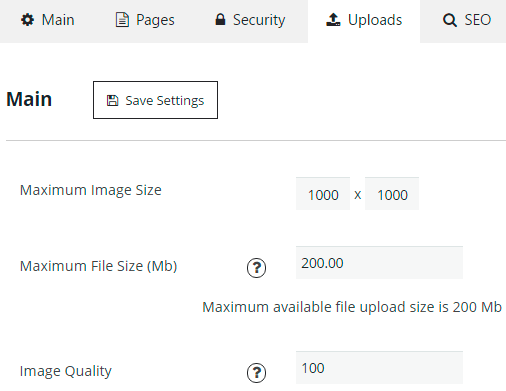 All these pages you can customize in Pages tab of your WordPress menu and add to site menu using this path – Appearance -> Menus -> customize Menu Structure. After this go to Membership plugin Settings. Let’s configure the general settings. Messages, Groups, Friends, Activity – activate or disable this tabs for the profile page. 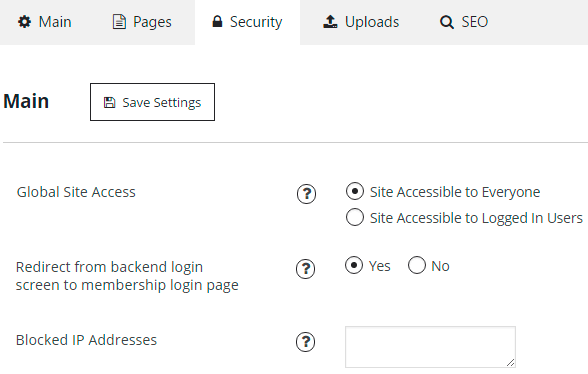 On Security page you can set the Global Site Access – make your site accessible for everyone or to logged in users, enable Redirect from backend login screen to membership login page and keep Blocked IP Addresses list. The last tab of Main Settings – SEO. Here you can set User Profile Title and User Profile Dynamic Meta Description. On Users Tab of this simple Membership plugin you will be able to monitor all members of your community. 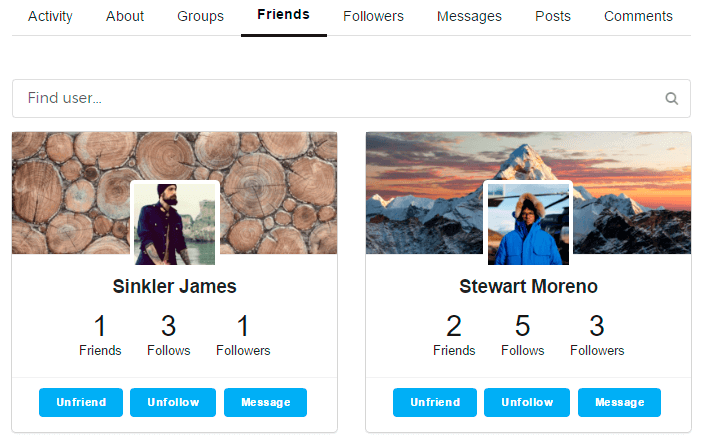 Here you will manage current user profiles and add new users. Check more detailed information in this article. Select the Default user role. All membership roles you can create on Roles tab. Enable and customize User Profile Cover. 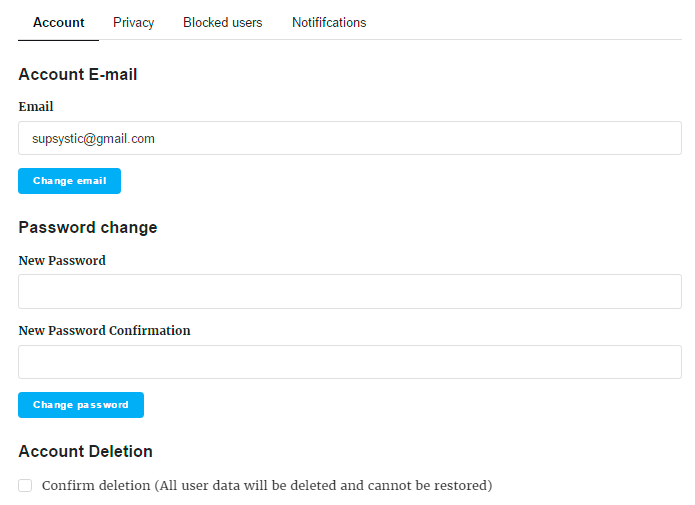 Administrator confirmation – in this case after the new user registration – administrator will receive Pending Review Email. In this letter administrator can check the information about new user and make the decision – approve or reject the account. To make decision – go to Users page in WordPress menu -> find the user profile -> click Edit -> choose the Status for account – Active or Rejected. Besides here you can select another statuses – Deleted, Disabled, Pending Review. After the administrator will choose the status – user will receive the email about the admin decision.All letters you can edit on Mails Tab. Let’s check the Registration Fields tab. 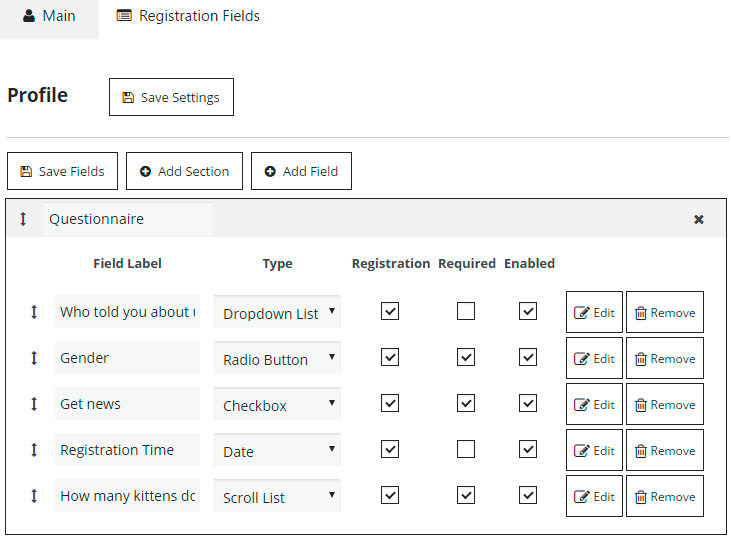 Here you can create and customize profile sections and fields. 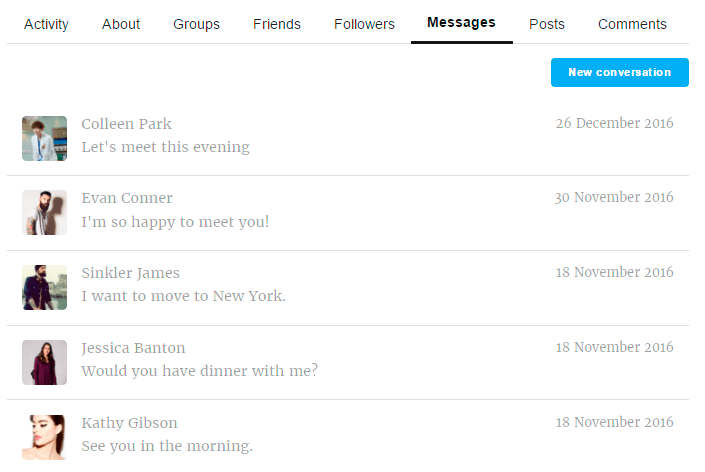 These information will be displayed in About tab of user profile. Besides here you can specify what fields will be used for registration and which of them will be required. For more details check this article. Roles tab offers you to manage with membership roles – create, edit or delete. By default there are three roles – Membership Administrator, Membership User and Membership Guest. To edit role – hover your mouse on membership role and click Edit. 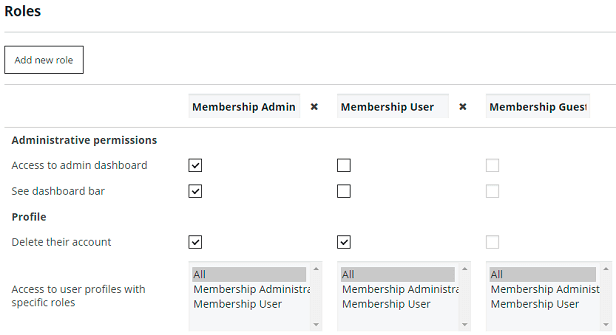 Here you can set different permissions for membership roles. Read more about Roles functionality. 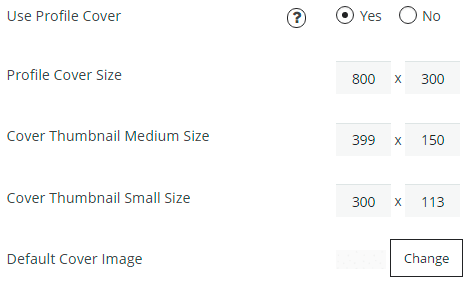 Specify the Group Cover Size and Cover Thumbnail Small Size. 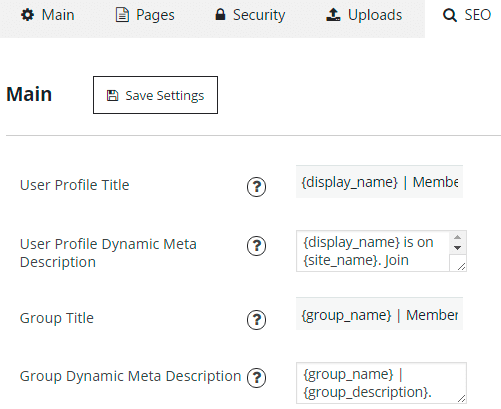 Select Group Permalink Base – group alias or group ID. Emails tab allows you to customize the send options and templates of emails. Enable and edit notifications templates. Check more about Mails Settings. General tab – set the Profile Image Style, Colors for Buttons and Inputs. Menu tab – configure some links for menu. Registration and Login – division to edit the texts of registration/login buttons and some additionals options for Registration/Login pages. Members Directory – customize appearance of Members Page. Read more details about Design Settings in this article. On frontend of Membership site there is the ability to report about unacceptable content of posts (post of membership user or group) or unacceptable content of user profile or group. 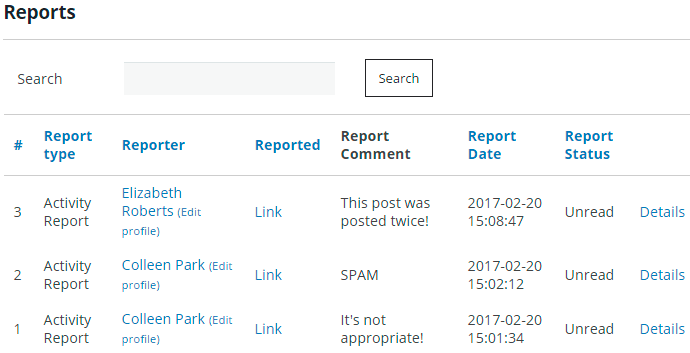 Reports tab will allow you to check all these reports and block all unacceptable content on your site. Check more details in Reports post. 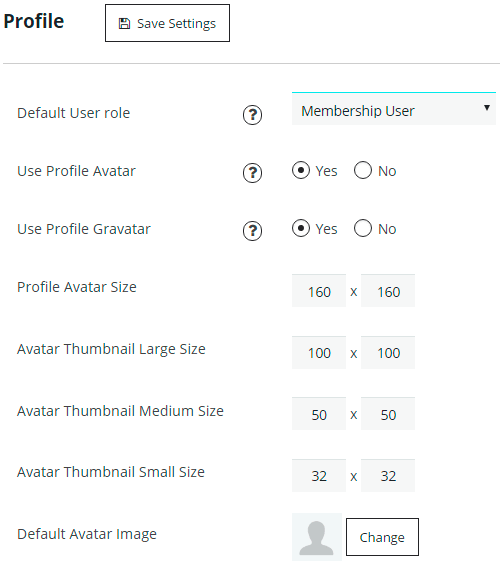 On front-end of your Membership website you and your users also will have a lot of settings which are available to edit. Profile settings are available to edit only from personal user account. 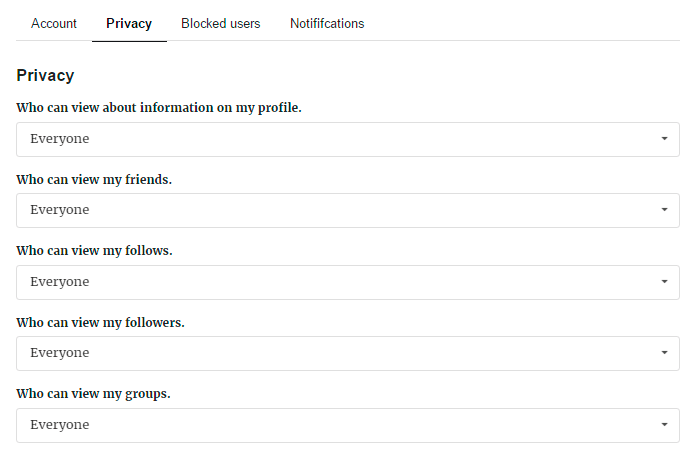 On your profile page you will be able to edit personal information, make some actions with friends and groups. 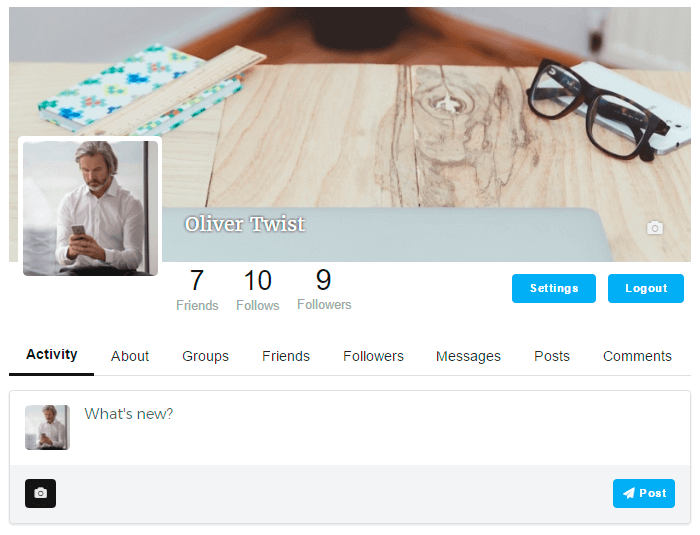 Besides plugin allows you to upload your photo for avatar and cover of profile. Here you can post the text, photos and videos. Also on Activity tab there are possibilities to like, comment and share the posts for you and other users of Community. 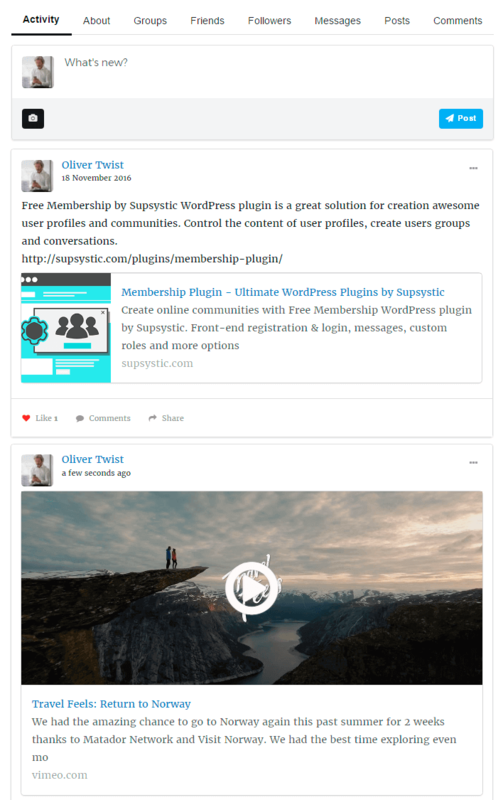 For profile owner – Simple WP Membership plugin allows to delete and edit the posts. Read more about Membership Activity. With Membership plugin you and your users will be able easily create unlimited number of Communities and customize them as you want. If you want to create new group – click “Create Group” on Groups page. 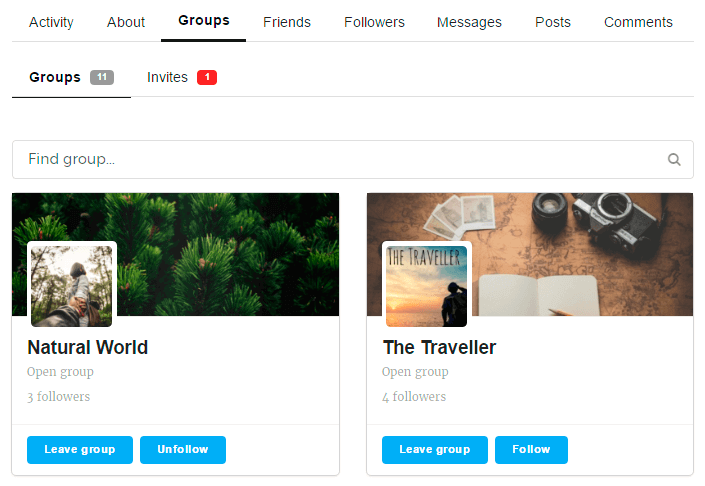 Enter Group Name and Description, choose the Community type (groups settings allows you to make your group open, close or private), invite users to your group and click “Create” button. Set the photos for avatar and cover of your community. Group page includes such sections – Activity, Members and Settings. More detailed information you can find here. Check this page to view more information about all Frontend abilities of Membership plugin.